Its time to catch bigger fish! These jerkbait tips will help you catch big bass this Spring. Knowing when to throw a tiny jerkbait instead of a large offering or a bold color instead of natural, can make all the difference. 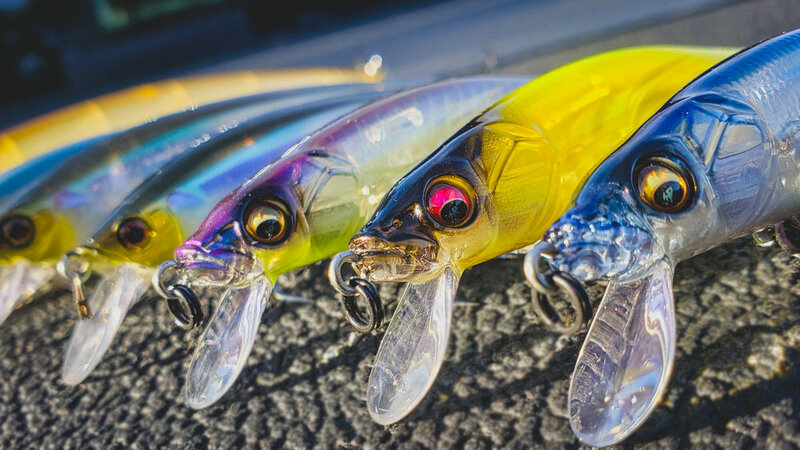 When it comes to jerkbait fishing, small details can yield huge results. Matt uses a 2-pronged approach to jerkbait fishing. He begins by searching for outliers (bigger than average bass) with large profiled baits but will quickly adapt to a triggering approach focused around schooling fish and small baits, when necessary. Understanding how to use a jerkbait as a tool instead of just another lure is the difference between just catching fish and being an excellent jerkbait fisherman. Below is a breakdown of the baits and tackle we recommend. Don't be afraid to get out of your comfort zone this year and target the fish with baits you wouldn't have normally thrown. You might be surprised by how big of a bass is willing to swipe your jerkbait!